← Will Ad Tech Stumbles Drive More Budget to PR? I’ve always been a big fan of comedian Jerry Seinfeld, and like to tell the story of how my friends and I were heckled by him in the 80s, before the eponymous TV show made Seinfeld a superstar. Four of us were sitting in a downtown NYC bar and spied Jerry with a posse (that could have easily passed for the gang on his show, but of course wasn’t) a couple of tables over. They noted us staring and Jerry threw a couple of wisecracks our way – he found it amusing that my best buddy and I were on a double date with twin sisters. It made our night. Flash forward a bunch of years to the present. I was in a Seinfeld state of mind, having just watched (and loved) his new Netflix special Jerry before Seinfeld; and was thrilled to hear him being interviewed by Howard Stern on Sirius radio. (Stern is another uniquely NY comic personality who I’ve loved to listen to over the years, since his days on NBC talk radio in the 80s). They schmoozed and eventually got around to the challenges of being a stand-up and bringing the funny (“joke architecture” as Jerry called it). This got me thinking about some of the ways that great comedy is not so different from PR. They started with pleasantries. Jerry complimented the Stern Show’s new set. Howard and Robin complimented Jerry on his sport jacket – part of the comedian’s standup uniform. This led to a discussion of Jerry’s look. The jacket works well for him, but might not be appropriate for Dave Chappelle or Louie CK. Takeaways: The jacket is an important part of Jerry’s brand. What aspects of your brand stand out and set your company apart? Seemingly minor things like the color choices on your website or logo design should complement the text narrative. More generally, we instruct clients that it is not just the news, but the wrapper that can be important. In addition to the (hopefully) substance of the press release, it is the quality of the writing or event that can make all the difference. Howard: I was surprised to hear that you write down every single word on a legal pad. Jerry: Every word is absolutely important. I’ll take 10 minutes to get a syllable, I’ll count the syllables. I like the architecture of a joke. When I watch a comic, here’s what I’m looking for: He brings something up that he wants to do a bit on. OK, that’s the easy part, noticing something that needs to be made fun of. He gets a couple of laughs. How deep can he go? Can he get a second wave? If he can get the second wave, then I say OK this guy’s really thinking. Howard: It’s like riding a wave. Jerry: Right, how far can you ride a wave? Takeaways: This sounds a lot like pitch and headline writing. It’s important to be compelling and succinct. After the initial pitch or launch, can you continue to build the story? You need to craft a narrative, ideally one that rides the waves of industry trends and hot topics. Howard shared a prior conversation in which Jerry once said he’d made a great observation, but left it on the cutting room floor; he couldn’t go any further with it. Howard said that afterwards he had surreptitiously offered Jerry ideas in an email that was never sent – because Howard thought it might be seen as arrogant, to school Jerry on how to finish a joke. 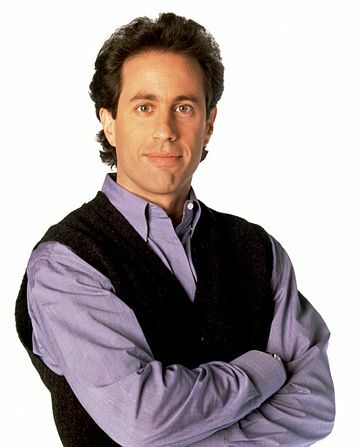 Jerry agreed, and said that, to be fair, Howard should sit in the audience and see for himself how the Stern material would go over, had it been used by Jerry. Jerry: You would see how tough it really is. The hardest thing is to write standup. It has to be brilliant. Takeaways: Similarly, the media can be a tough crowd, as they are generally slammed, juggling multiple ideas and priorities, and fighting deadlines. They get lots of PR pitches, and won’t consider yours, unless it is relevant to their beat, interesting, and topical. So go out there and be brilliant! It might sound tough and intimidating – but take the time and care to do this, and great results will follow. Howard: What a firestorm it created! Jerry: I was fascinated by it, couldn’t even understand it. Howard: Have you gone back and tried to hear her music since then? Jerry: I’ve been a little busy. Not much to say here, except that when you have a great brand and reputation like Jerry Seinfeld’s, you can afford to pick battles and sometimes just let the water roll off your back. If you like reading about comedy and marketing, please check out my story on Maximize Social Busines: 7 Things Content Marketers can Learn from Standup Comedians. This entry was posted in Branding, In the News, Interviews, Marketing, PR, Public Relations. Bookmark the permalink.